1. Place all the ingredients except the oats and sliced almonds into a food processor. Blitz on high for one minute. 2. Add the oats and almonds and process for a further 30 seconds. Remove the mixture and roll into a ball. Wrap in cling film and place in freezer for half an hour. 3. Remove from freezer and divide into small balls slightly larger than a walnut. Place into airtight container/s and refrigerate or freeze according to your needs. This recipe is a delicious way to get high quality protein into your system, along with vitamin E, magnesium and copper. Although almonds are quite high in fat, most of it is heart-healthy monounsaturated fat. 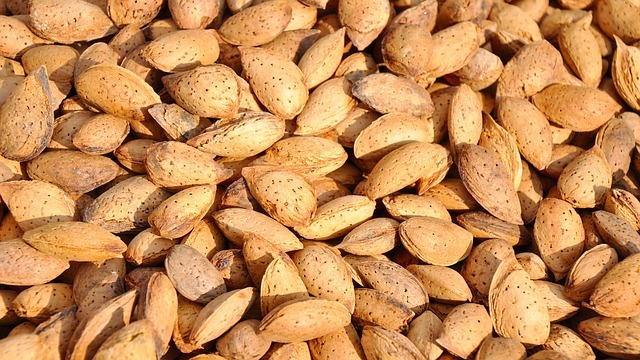 And there are three good reasons to include almonds in your diet – high levels of B-vitamins, magnesium and potassium. These little balls are great to make ahead and store in the fridge or freezer for a quick refuel.